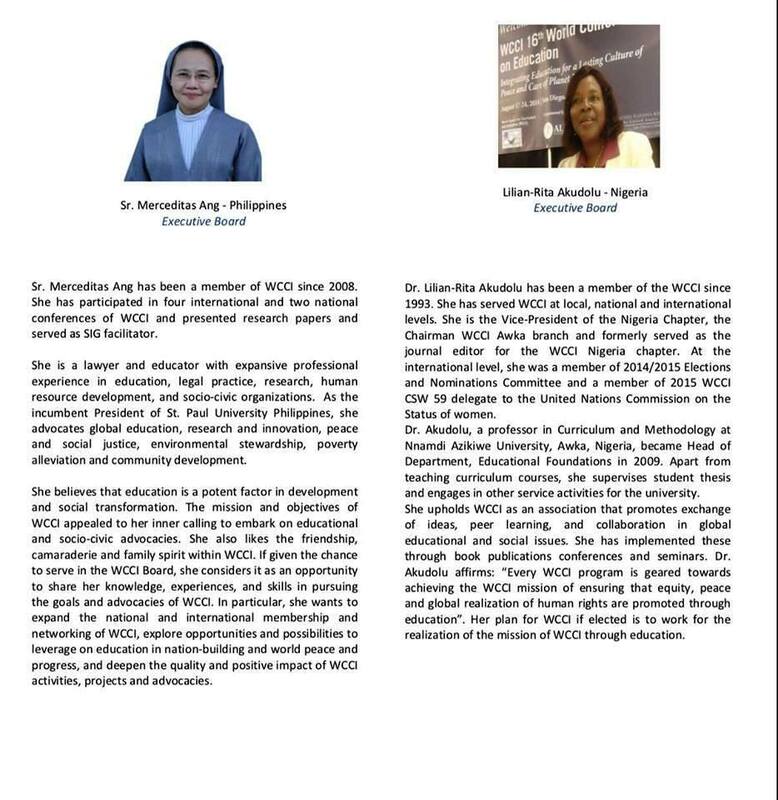 Sr. Merceditas Ang, SPC (University President) has been elected as an Executive Board Member of the World Council for Curriculum and Instruction (WCCI). The result of the world-wide election was announced in the Special Advance Issue of WCCI’s Newsletter on January 07, 2019. Also elected were: President - Dr. Swee-Hin Toh (Canada); Vice President - Dr. Jerold Miller (USA); Executive Board of Directors - Dr. Lilian-Rita Akudolu (Nigeria); Dr. Matin Royeen (USA); Ms. Agnes Jenei, MA (Hungary); Ms. Preeti Jain (India); and, Sr. Lydia Fernandez (India). The new officers will be joining Ms. Emerita Garon (Philippines) and Mr. Zsolt Nemeskeri (Hungary), continuing members of the Executive Board, for a term of office from 2019-2022.